What is the STDEV.S Function? 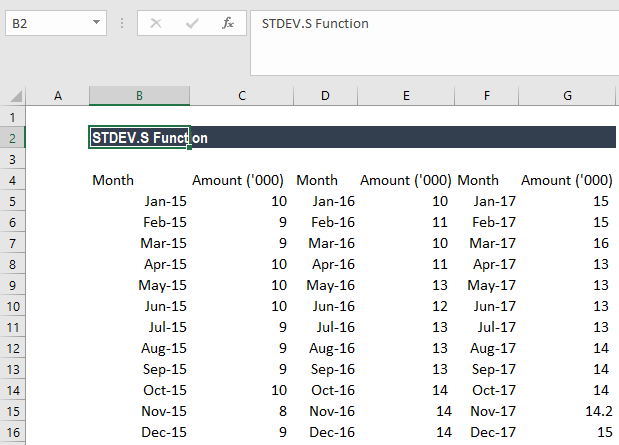 The STDEV.S Function is a Statistical functionFunctionsList of the most important Excel functions for financial analysts. This cheat sheet covers 100s of functions that are critical to know as an Excel analyst, that will calculate the standard deviation that is based on a sample of the population. It will ignore logical values and text. While doing financial analysis, the STDEV.S function can be useful in measuring the income of sample standard deviation representative of an entire population. Number1 (required argument) – It is the first number argument that corresponds to a sample of the population. Number2 (optional argument) – It is a number argument that corresponds to a sample of the population. The STDEV.S function is used to calculate the SD of a sample and not a population. To calculate the standard deviation for a population, use either the STDEVP function or the STDEV.P function. 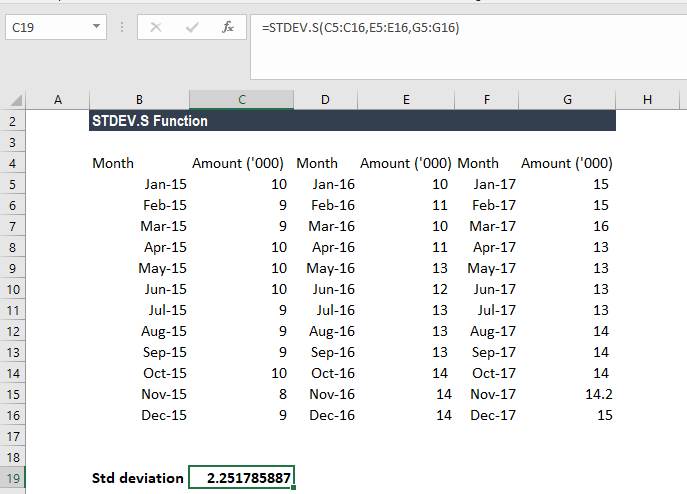 How to use the STDEV.S Function in Excel? #DIV/0! error – Occurs if none of the values that are supplied to the function is numeric. Sometimes the number may not be selected as a number. #VALUE! 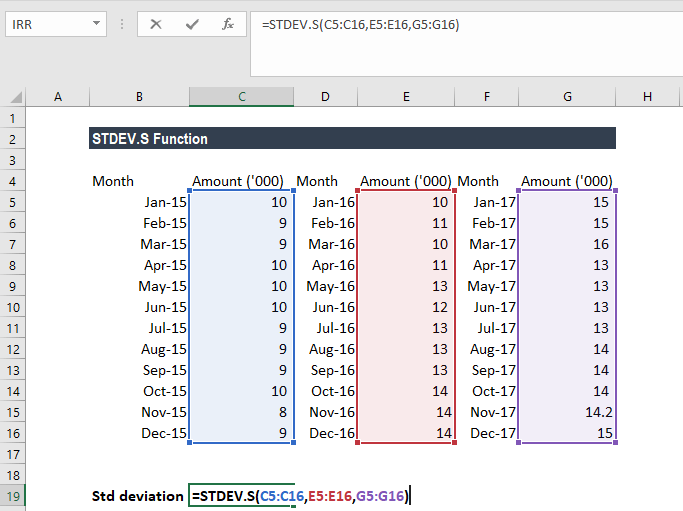 error – Occurs if any input values on the STDEV function are values that aren’t numeric values. 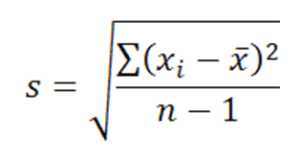 The STDEV.S function is used when calculating the standard deviation for a sample population. If we are calculating the standard deviation of an entire population, we need to use the STDEV.P function.